This is the second part of a two-part document intended to discuss recent therapeutic progresses in genetic neuromuscular disorders. 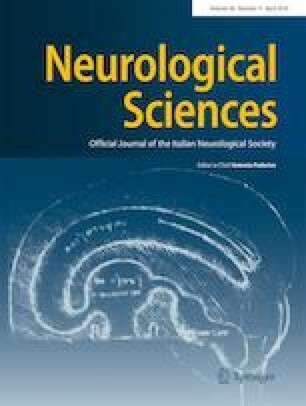 The present review is for diseases of motor neuron and skeletal muscle, some of which reached recently the most innovative therapeutic approaches. Nusinersen, an SMN2 mRNA splicing modifier, was approved as first-ever therapy of spinal muscular atrophy (SMA) by FDA in 2016 and by EMA in 2017. The orally administered small-molecule risdiplam, which increases SMN protein levels similarly but also in peripheral organs, is tested in ongoing phase 2 and 3 trials. After positive results with phase 1 treatment with AAV9-SMN, the first gene therapy for SMA, a phase 3 clinical trial is ongoing. Ataluren is the first approved drug for Duchenne muscular dystrophy (DMD) patients with premature stop codon mutations and its indication has been recently extended since the age of 2 years. Exon skipping technology was and is currently tested in many phase 3 trials, and eteplirsen received a conditional approval by FDA for patients amenable to exon 51 skipping, but not by EMA. Many other compounds with different mechanisms of action are now tested in DMD by phase 2 and 3 trials, including phase 1 gene therapy. Other innovative approaches are under investigation, i.e., gene therapy in X-linked myotubular myopathy and Pompe disease, and antisense oligonucleotides in myotonic dystrophy type 1. Positive evidences are discussed about lamotrigine and ranolazine in non-dystrophic myotonias, chaperons in Pompe disease, and nucleosides in mitochondrial DNA depletion induced by thymidine kinase 2 deficiency. Giuseppe Vita and Gian Luca Vita contributed equally to this work. G.V. discloses having been on advisory board for Avexis and Roche. He is also a principal investigator in clinical trials sponsored by Avexis, Roche, Sarepta, Santhera, Italfarmaco, Wave, and PTC.